I definitely LOL’d at the last panel. You guys are BRILLIANT. I did too. Unfortunately I was in a diner at the time waiting for the waitress to see me. Maybe that’s why she came over.. These words are timely and encouraging. 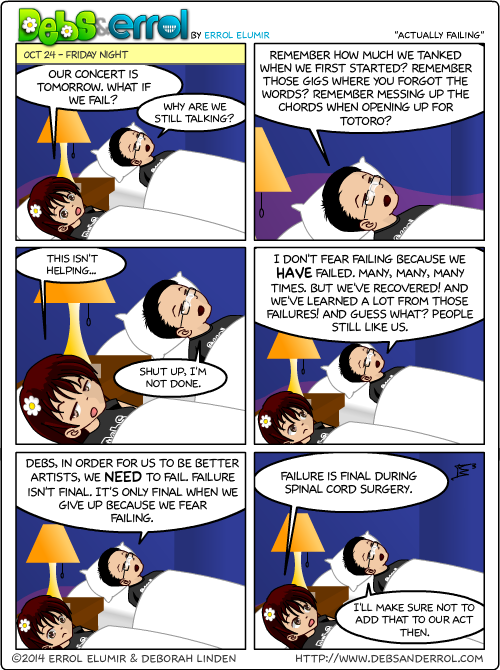 Who knew one could find insight in a webcomic?